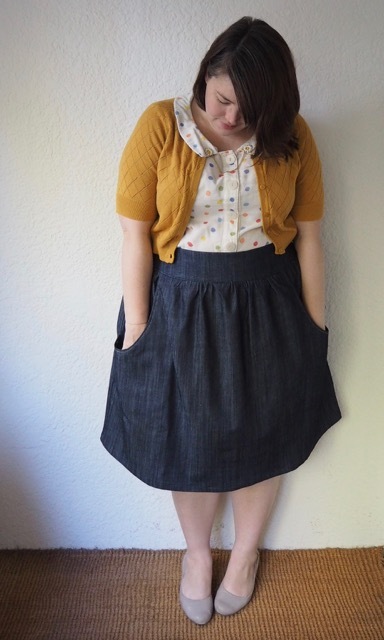 This entry was posted in DIY and tagged DIY, etsy, love to love you, naturaliser, princess highway, skirt by lillipilli. Bookmark the permalink. Yep, I too put the waistband on upside down. 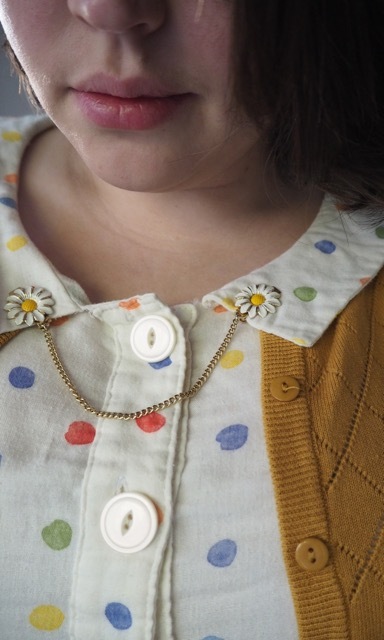 I must say that I find Megan’s instructions a little vague in most of her patterns – they’re cute makes and generally work out reasonably well, but for such simple patterns they sure end up needing a lot of unpicking! You look completely adorable in this outfit, by the way. Love your blog. Thanks so much, Angela! 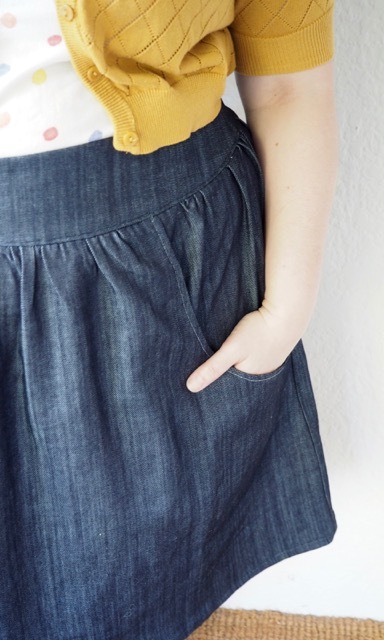 I felt so silly – I even know going in that everyone put the waistband on the wrong way and I STILL did it! Hi! Mae showed me your blog a while back and I have been stalking it ever since. 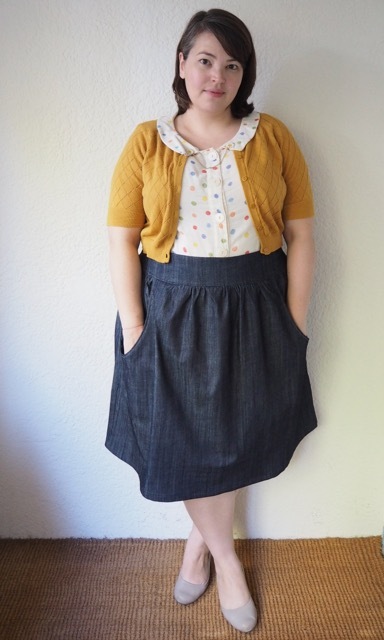 Love the skirt, I am super jealous of your sewing skills! Thanks Ella! I’m still learning, but it’s definitely my new favourite hobby! 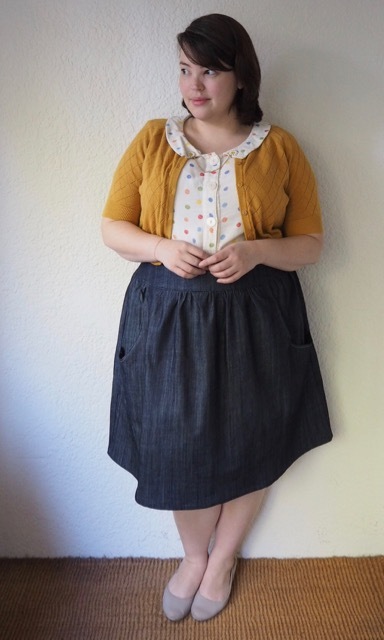 I have been dying to have this skirt, but am also sized out of it. 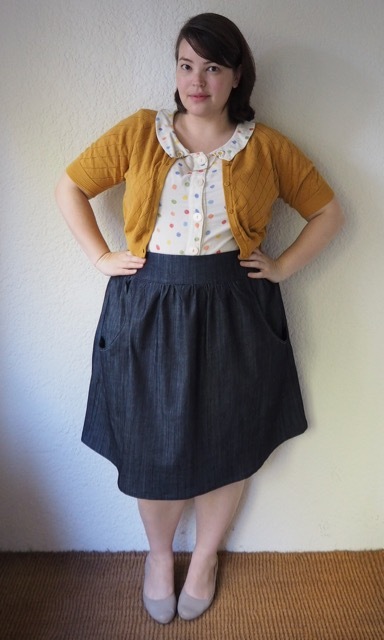 If you are able to share *how* to grade the skirt larger, I would love to hear it! I’ve been scared to try and usually need clear examples to learn new skills.